How much is Charlie Sheen Worth? 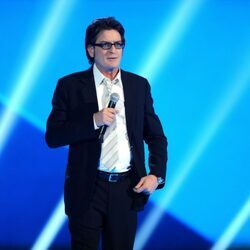 Charlie Sheen net worth and salary: Charlie Sheen is an American actor and producer who has a net worth of $10 million. 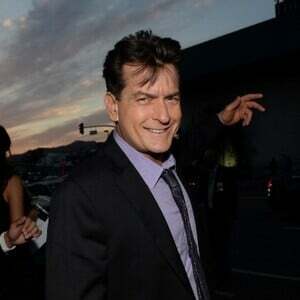 Charlie sheen was born Carlos Irwin Estevez on September 3, 1965 in New York City. 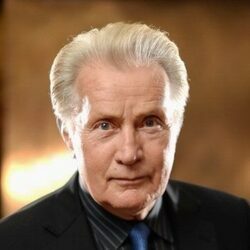 His father is actor Martin Sheen. Charlie's interest in acting was developed early on in life after he took a supporting role in one of his father's films at the age of nine. He also made his own movies with not-yet-famous friends like Chris Penn and Rob Lowe. Charlie Sheen's big break came in 1984 with the release of Red Dawn, the first movie ever to be released with a PG-13 rating. From that point on, Charlie's career took off. He soon followed up with a leading role in the award-winning films, Platoon and Wall Street. Sheen's career never lost momentum thanks to roles in films such as Young Guns, Men at Work (both featuring Sheen alongside big brother and fellow actor Emilio Estevez), Hot Shots!, The Three Musketeers, and Money Talks. He has also portrayed himself in numerous films and television shows including Being John Malkovich, Pauly Shore is Dead, and The Big Bang Theory. Sheen earned his star on the Hollywood Walk of Fame in 1994. He jumped to the small screen when he replaced Michael J. Fox for the last two seasons of the sitcom Spin City, a role that earned Sheen his first Golden Globe Award. From 2003 until 2011 Sheen starred in the sitcom Two and a Half Men. The role won him numerous awards including a Golden Icon Award and ALMA Award. During his time on Two and a Half Men, Charlie was the highest paid actor on television, earning $1.25 million per episode. In 2011, Charlie was fired from Two and a Half Men after getting into a controversial and public battle with the show's creator Chuck Lorre. He bounced back quickly with a new show called Anger Management that aired on the FX network until 2014. How much did Charlie Sheen Makes per episode of Two and a Half Men? $1.25 million. That made him the highest-paid person on TV at the time. At the peak of his Two And A Half Men days, Charlie was consistently the highest paid person on television, bringing home as much as $40 million every year when syndication points were included. Even after getting fired from Two And A Half Men, Charlie landed over at FX with a deal that had the ability to become extremely lucrative. Sheen signed what is called a 10/90 deal to star in the show "Anger Management". With a 10/90 deal, a star like Charlie is given an unusually large percentage of syndication ownership points, in this case 30% as opposed to a more normal 1-3%. Charlie also agrees to take a huge per-episode salary cut, knowing that he just needs to hit that magic syndication pot of gold and he'll make an insane fortune. In the case of Anger Management, if the first 10 episodes maintained a certain ratings level, another 90 episodes would be ordered by the network, in this case, Lionsgate. Then, assuming certain ratings levels were maintained, once the show was sold into syndication, Charlie would have gotten 30% of the profits. And that 30% of profits in theory could have been hundreds of millions of dollars. Unfortunately, Anger Management's ratings were fairly atrocious, especially in the second season. When the 100 episodes were brought to the syndication market, demand was very soft. As of this writing, the show has still not produced a profit, and therefore Charlie has not received his huge cash windfall. In May 2016, TMZ reported that Charlie has not received a single payment from his syndication deal. A massive failure for Mr. Sheen, who otherwise could have made millions with a more traditional TV deal. Charlie's personal life has always extremely erratic and expensive. Prior to September 2016, Charlie was paying $110,000 PER MONTH to two ex-wives. After Charlie sued to have the payments reduced due to his weakened financial status, a judge changed his monthly spousal payment to $25,000 per ex. He still pays $500,000 per year to support his kids. In court filings, Charlie claims to have $12 million in debts, mostly made up of various mortgages. He also claims his monthly income has dropped from an all-time peak of $600,000 to around $167,000. Charlie's monthly medical expenses currently cost $25,000. He also claims to have spent $10 million in the last four years settling with people who were threatening to make his HIV status public. Finally, it's well-documented that Charlie has spent millions on hookers and drugs during his life. In August 2018, Charlie submitted a document to a Los Angeles court saying he's "had a significant reduction in earnings" and "is in dire financial crisis with less than $10 million to his name." He further claimed to be unable to make his monthly child and spousal support payments because he has "been unable to find steady work and [has] been blacklisted from many aspects of the entertainment industry." In 2019 he nearly lost his primary LA home to foreclosure. 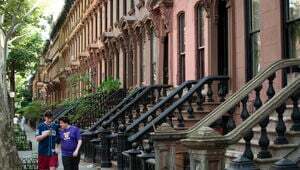 He spent $7.2 million on the home in 2006 and attempted to find a buyer for $10 million in 2018. In April 2019 he lowered the asking price to $7.99 million. He sold a similar property in the same area for a $400,000 loss in 2015.